1. Volume 7 cover story is the interview with Gill Wright, in which she shares the insight into her career as a fashion illustrator. 2. We explore interiors designed by Project Orange – a studio that marries interior design with architecture. 3. We chat to the founders of Nisi Living, a lifestyle brand that wants to inject some of the colourful Mediterranean style into your life. We dive into the concept, marketing and plans for the near future. 4. We talk to a British fashion brands, Ennagaldi, Jessica Wilde and Snazzy – all emerging designers sharing their experiences in running their businesses. Plus, Snazzy also shares their campaign collaboration with a successful Instagram influencer Monique Romanowski. 5. Our special feature is an interview with Sophie Rees, the founder of Designers/Makers where she shares her journey and gives some practical tips to all designers/makers. 6. For any pattern and textile design lovers we have two amazing interviews with Sophia Frances and Elizabeth Turner. Sophia is a textile designer and Elizabeth upcycles Mid-century furniture with a very distinct style. 7. We go behind the scenes with Sabrina Chakici to the beautiful The Muraka by Conrad Maldives. 8. In beauty, we interview two very successful founders; Sonia Deasy from Pestle & Mortar and Alexia Peck, who will stock her fragrance candles in Fortnum’s and Harrods this summer. 9. In our business section we explore the importance of focusing on your goals through a paper map. 10. Special bonus: a recipe card with a tasty meal from Dotcookin! 1. Our cover story is the interview with Rachael Burn, in which she shares the insight into her career as a fashion illustrator. 2. We explore the amazing interiors designed by Aube Interiors. 3. We chat to Paloma King, an abstract artist about her journey and what has led her to expressing herself through art. 4. Flavia, our fashion editor, shares her views on sustainability in fashion and brings our attention to London W11 – a new London-based cashmere brand. 5. We also chat to Amelia Rope, the founder of a namesake successful chocolate brand. In this interview, Amalia shares her journey from starting her career in the NHS, being a Masterchef contestant to founding her chocolate business. 6. 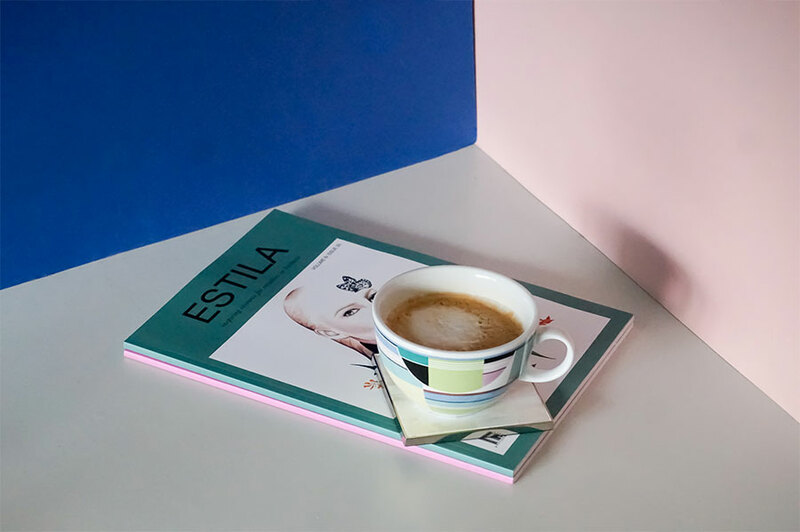 Nicola, our beauty editor, interviews the founders of Ex Idolo – a perfume brand which finds inspiration in very unusual places for them to have a strong brand story. 7. Erica Wolfe-Murray from Lola Media shares her tips for designers and creatives based on the biggest mistakes you might be making. 8. In our business section we are focusing on taking responsibility and getting outside of the blamers mindset. Special bonus: A mini edition focusing on Positive Luxury brands who have been awarded the Butterfly mark. You can get both volumes here.